If it is time to give your patio a professional clean, make sure to take advantage of our patio cleaning service in Clapham. We will get our equipment and head for your home where we will give your paved areas a deep clean. We will use pressure washers to get rid of moss, stains, algae, weeds and grime. When we are done cleaning, the patio will be shinier, the colours will be brighter, it will look neat and nice. We can be trusted. We have been around for a long time. We urge you to give us a ring. We will get things started. Our pressure washers are capable of removing algae, dirt, paint stains and moss from outdoor hard areas. They can clean the surface in depth, ensuring brighter colours and a neater look. Cleaning your patio might seem like a nightmare because it’s a lot of hard work, which requires having special tools and also related skills. Of course you can give it a quick clean with a brush but some stains will never come off that way. The truth is, you need a specialist. We assure you that no one will do the job better than our company. We have extensive experience in patio cleaning in SW4 Clapham. Nothing will stop us from transforming your paved areas. We will just come to your property, take out our equipment and clean the area thoroughly. 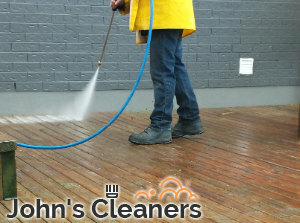 We have proven that we can remove different types of staining from outdoor hard surfaces as well as weeds and moss, which oftentimes grow in-between. We assure you that our equipment will not damage your surface or spoil its look. It was designed to be used on paved areas and it is suitable for all kinds of hard surfaces. 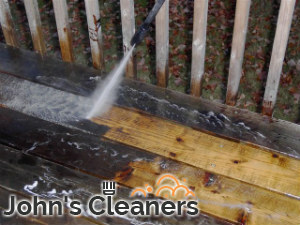 We guarantee that your outdoor surfaces will be neat and clean. You will hardly recognise them. Book an appointment over the phone whenever you wish.